As our weather here in the northeast begins to turn truly wintry, with our first snow on radar arriving tomorrow morning, I can’t help by think about old fashioned house plants, and for some reason I associate african violets and their relatives the Streptocarpus with winter indoor gardening. 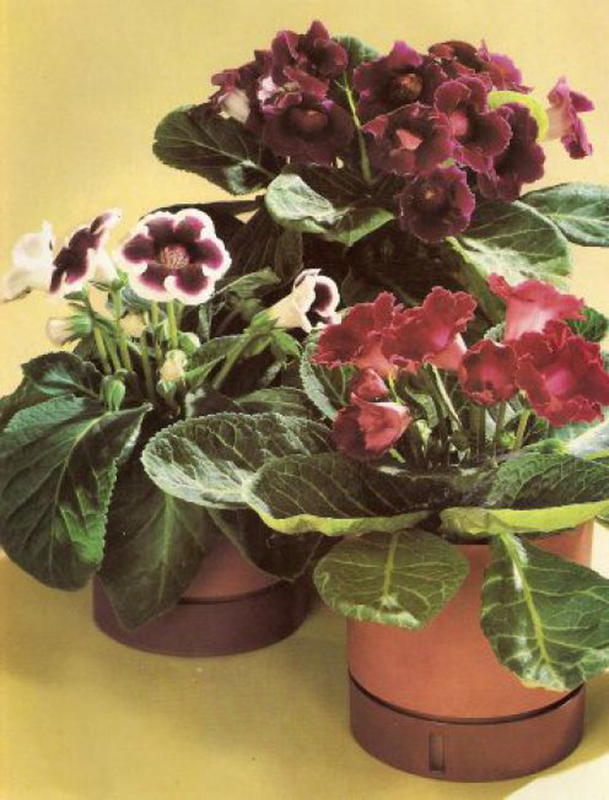 African Violets, Streptocarpus and perhaps Gloxinia, if I could find nice and interesting forms. Typically I would have grown Gloxinia as a summer crop, as my parents would – creating displays on our front porch plant stands that would last for a couple of months, but recently, these plants have disappeared in the trade. Only sometimes showing up as houseplants near the Holidays. It looks like that has all changed, and it all started with African Violets and Russia. African Violets, Streptocarpus, and their kin have been favorites for nearly 150 years, but like many commercially grown crops, the varieties found today are mass produced, and rather boring. If you don’t believe me, just look at the more interesting selections found at the handful of collector nurseries ( posted at the end with links) who specialize in exhibition varieties. Or better yet, spend some time on the Gesneriad Society (America) website. A few years ago, new Russian varieties started showing up with a few select nurseries, and on the bench at gesneriad society shows – but as I surfed the net for some more interesting Streps, I discovered that this Eastern European trend as moved on to other plants. 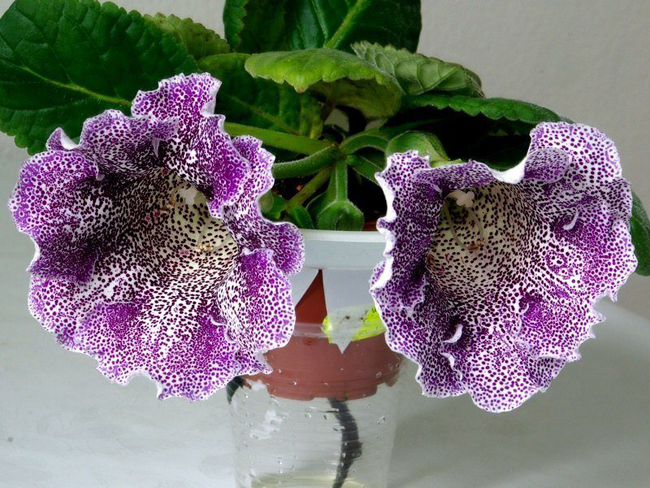 Streptocarpus and now the Florist Gloxinia are showing up in Europe and even in America, some with incredible colors and intricate patterning. All thanks to growers and collectors in Eastern Europe who are making enormous strides in innovation with these species and more. As African Violets seem to progress, at least with some collector varieties trying to breed yellow flowering forms, and more variegated leaved forms, the Streptocarpus, or the Cape Primrose, those floppy-leaved African relatives of our beloved violets, have remained pretty un-touched. For the past 20 years, the finest varieties being bred and exhibited in England, by a fine nursery called Dibley’s, renown for many Gesneriads, but particularly the Strep’s, as their many fans call them. Today, many of the Dibley and Bristol forms are becoming available from a few nurseries ( Logee’s, and a few others), but few new varieties have been introduced recently, so most collectors have all of their favorites, that is, until collectors and breeders in Poland and the Ukraine came onto the global scene. Suddenly, some very interesting forms from Eastern Europe are coming to market, a few being made available on eBay ( check weekly) and others being carried by a few nurseries ( when they have them in stock). I am excited again, as new blood means new genetic mutations and new colors will be coming. The future looks bright for Streptocarpus, and I can’t wait to get some of these new varieties. A vintage photo of the florist Gloxinia. Newer forms are on the horizon which may bring back this forgotton plant. Yes folks, I am going to write about the Gloxinia for a moment – the florist Gloxinia which was so common years ago, but which has virtually disappeared from our windowsills and plant displays. I have been searching for selections for years now, but all I could find would be one or two varieties. Without taking some time to check back a few years, I know I’ve waxed on about the lack of Gloxinia tubers available in the trade. I mean, there was a time when every spring one could find boxes of Gloxinia tubers ( bulbs) at nurseries for potting up to create summer potted plants for displays on front porches, and northern screened in porches. A classic potted plant, large, floppy leaved and giant flowered Gloxinia were once a standard florist plant – at one of my first jobs at a greenhouse during high school, I remember transplanting hundreds of seed-raised plants destined for the Boston flower market, but for nearly 20 years, they have virtually disappeared, with the last American plant breeding programs defaulting a few years ago, and large Dutch summer bulb distributors not carrying them anymore. change the way we think about these plants. Check out Alex Mayer from Kiev’s website for more. The large Gloxinia is really a member of a very popular and collectable genus of gesneriad called the Siningias. A broad genus, there are many forms, with some so small, that they can grow in a thimble ( you do remember those, don’t you?) and other species that are so collectible that they cross over into collections of cacti and succulents, geophytes and caudex plants. But the giant Queen of the genus is the hybrids known commonly as the Florist Gloxinia. Stars of the wide, breezy Victorian porches in summer, where displays, often tiered on shelves and stairs, were a common site along side flouncy tuberous begonias and ferns. Today, the Florist Gloxinia is as hard to find as any rare orchid. Even miniature Siningia are being introduced in a wide range of colors and forms. How exciting are these? The top row are the florist Gloxinia forms from Russia, and the bottom two rows are miniatures. But things are changing fast thanks to our plant friends in Eastern Europe. As recently as last year, new and very exciting introductions of the larger Gloxinia, as well as many smaller forms are becoming available from Hungary, Romania, Russia and in particular, the Ukraine. Over the next few years, I expect many of these new selections to appear on display shelves and even our windowsills. Some are already available though eBay and some nurseries. Look for these and many new selections coming from Asia soon. It’s been difficult to find information on these and other introductions, as many of the sites are either in Russian or Japanese, so I am open for any tips, hints or connections. Sorry if I used any images without permission ( just let me know), but I think I was able to credit everyone in some way!. Try the Violet Barn for Streptocarpus or eBay ( at your own risk, but I have done well). Also try Lyndon Lyon Greenhouses – I have ordered from them for the past 5 years. Nice. Check out theAfrican Violet Society of Europe’s AVSE Forum for excellent and up-to-date information , as well as some very good posts on these newer Polish and Russian varieties.